The Imperial bridge hook can be used either under or along the side of your billiard table to conveniently store your bridge. It can also be used for storing triangles underneath a wall rack or at the end of the table. 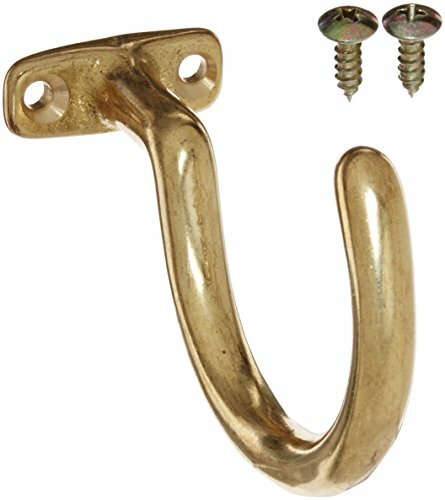 This hook includes 2 mounting screws for easy installation. Adds the luxurious look of brass to your billiard table. A bridge is typically used when using your hand as a bridge doesn’t provide the optimal angle, or when a shot is too far for you to reach, serving as an extension of your arm.